JAKARTA: In Sunday's flashfloods 80 people died and dozens are missing in Indonesia's eastern province of Papua. Roads have been blocked by landslips and rescue operations are hampered. Four thousand people have been displaced. "Our house was flooded with thick mud... we immediately grabbed our valuables and ran to a neighbour's house to seek refuge," a victim told AFP news agency. "It's hard to get out of the area because many roads are blocked... I'm worried, sad and scared all at once." The town of Sentani is one of the worst affected areas. Fifty people were killed in the town, according to Reuters news agency. 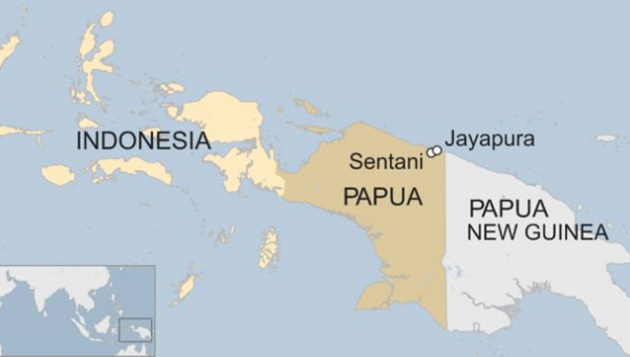 Another seven were dead in nearby provincial capital Jayapura. Indonesia's National Disaster Mitigation Agency spokesman, Sutopo Purwo Nugroho, said, "The number of casualties and impact of the disaster will likely increase as search and rescue teams are still trying to reach other affected areas." Suryadi Diaz, a Papua police spokesman, told The New York Times that the flooding was exacerbated by the cutting of trees in the hills above Sentani — part of an effort to convert the land for farming. Diaz said the lack of vegetation meant there was little in the mountainous region to slow the flash floods or landslides. Rainy season in Indonesia is from October to April and flooding is common. Deforestation has aggravated the annual occurrence. Papua province on border with Papua New Guinea.